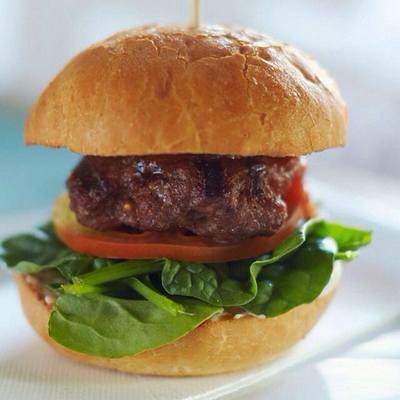 If you've got kids and you enjoy a scrumptious burger, then your going to love this deal at Missy Moos Gourmet Burger Bar, Mt Hawthorn. For the whole month of June, you can receive a free eenie meanie (beef or chicken) burger, with every full size burger that you purchase. This offer is only valid at the Mt Hawthorn store. To send your tastebuds into a frenzy, have a browse of the menu online here. All burgers are made fresh, from locally selected premuim ingredients. If you're a newbie to this burger sensation then for adults, I'd make a simple suggestion of The Cow Jumped over the Moon burger, a humungous creation topped with some cheeky blue cheese, just divine. If you've got some room in your tummy (and I recommend that you don't eat breakfast before your visit), opt for a side of onion rings too, you won't be disappointed. There are a couple of veggie options too if you have non meat fans in the party. Located within the Mezz complex in Mt Hawthorn, this offer is bound to bring families across Perth to Missy Moos so call (08) 9444 8590 to book ahead to avoid disappointment. Is 7 too young for a mobile phone? Where's the best picnic spot in Perth?